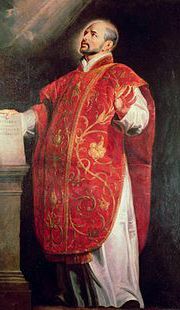 St Ignatius is remembered as a talented spiritual director and for his vigorous opposition to the Protestant Revolution. He is Patron Saint of the Society of Jesus, soldiers and parts of Spain. His Feast Day is the 31st July.